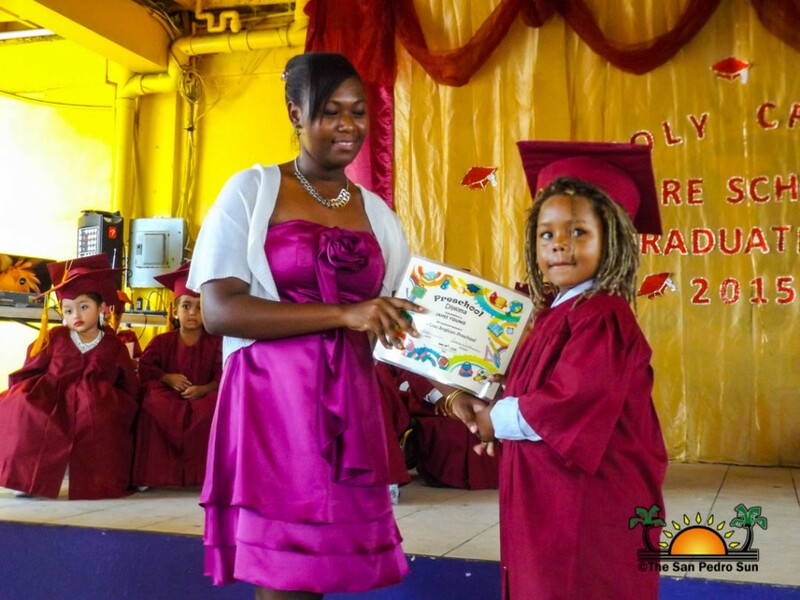 San Pedro continues to celebrate education with graduation ceremonies across the island. 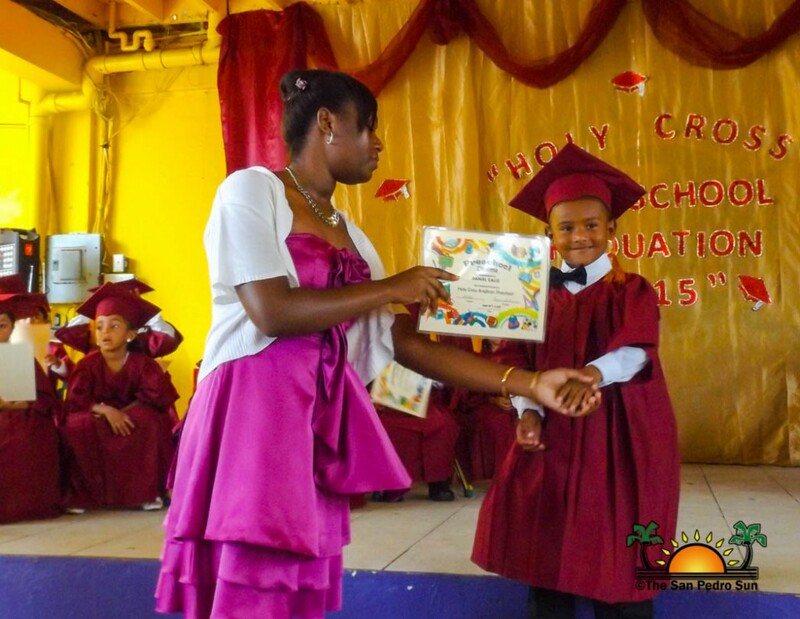 Over the past week, the last primary school held commencement exercises, along with five out of the six island preschools. 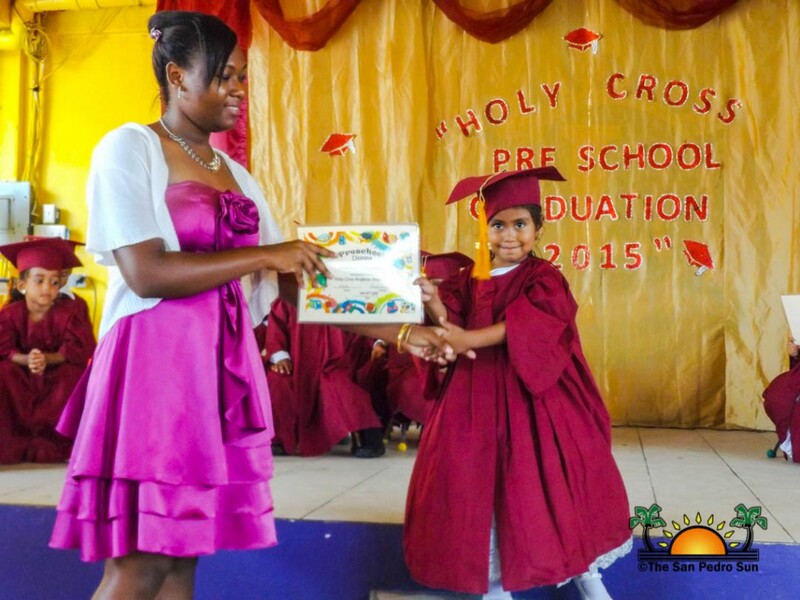 The first toddlers to graduate were those from Holy Cross Anglican Preschool (HCAP) on Wednesday, June 24th. 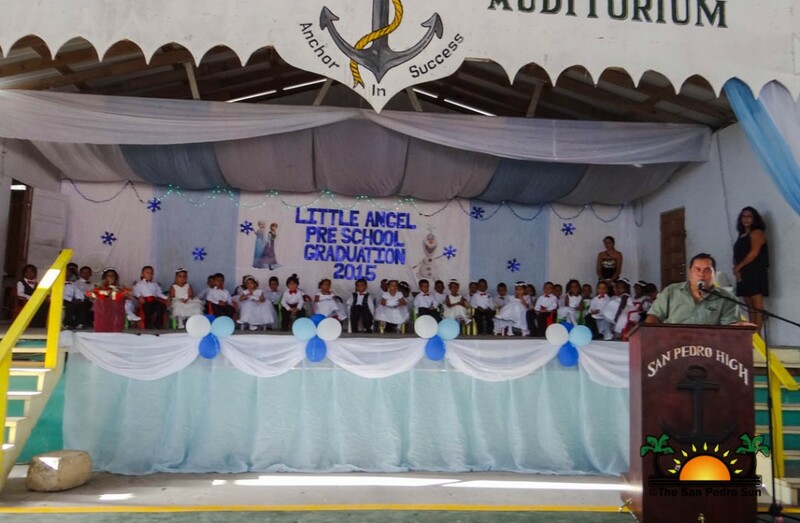 This was their second graduation class and saw 26 graduates. 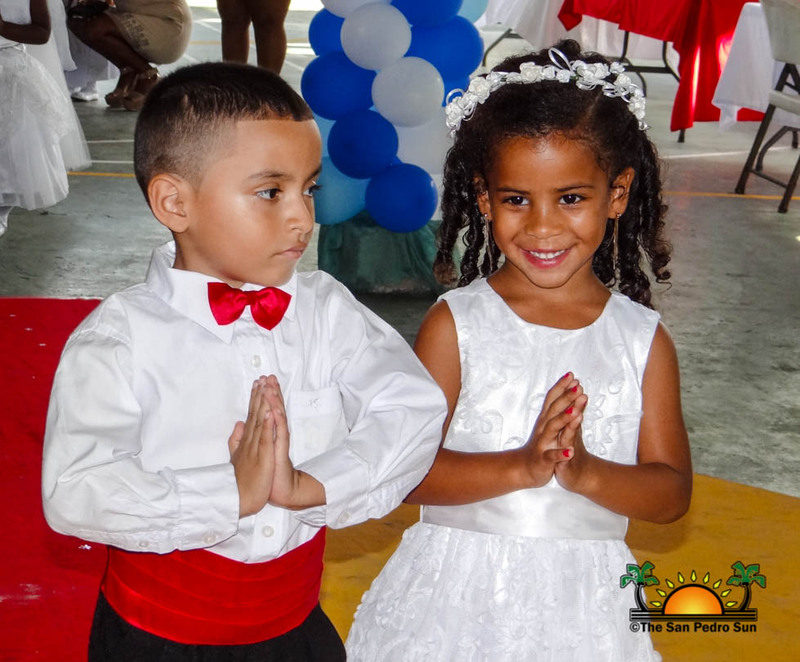 Held at the San Pedro Lions Den, the ceremony was led by Melissa Black. 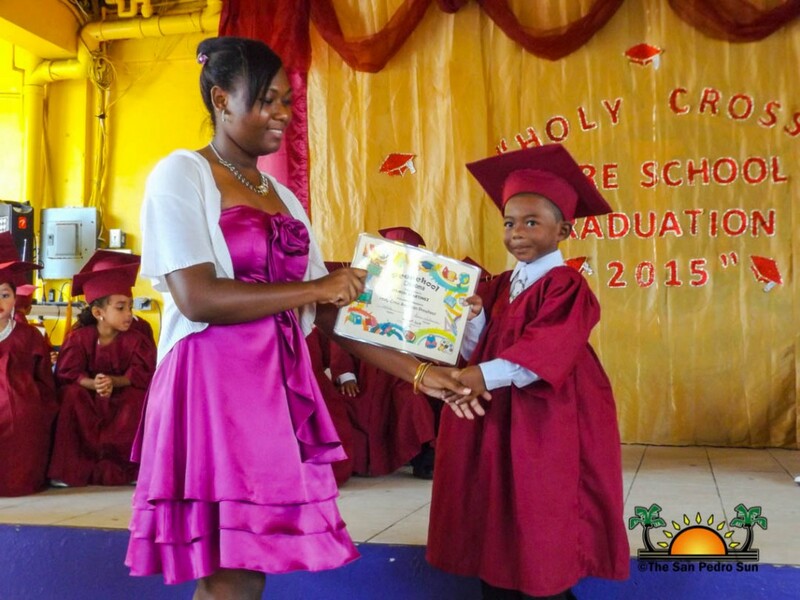 After a short guest speech by San Pedro Education Officer Miriam Codd, the students were presented with their diplomas by school Principal Grace Williams. 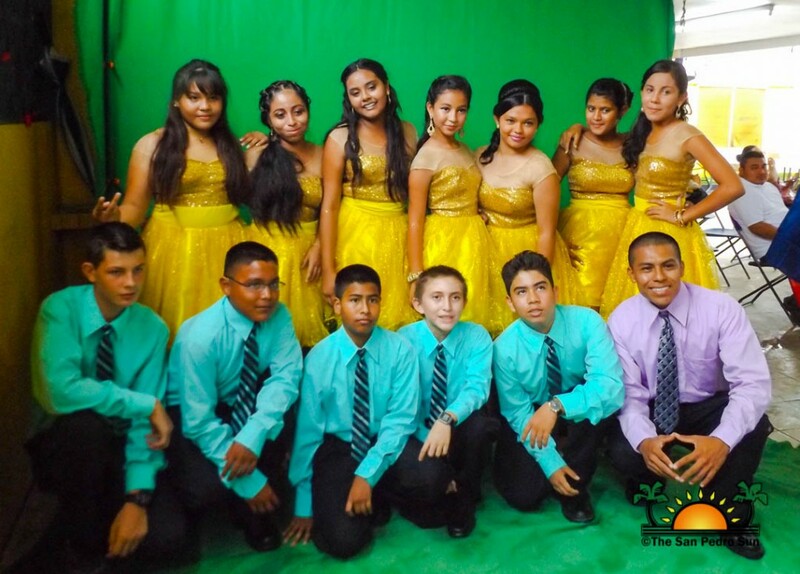 HCAP class of 2015 comprises of: Errick Barco, Jayden Ernandez, Ryon Ingram, Angel Jau, Gary Pacheco, Carlos Trochez, Kelvin Almendarez, Justin Chavez, Samuel Gonzales, Hector Lopez, Osmin Martinez, Angel Perera, Josue Rivera, Andrew Tut, Jahee Young, Adier Soma, Carla Avila, Annette Martinez, Nayomi Mejia, Deshany Rhaburn, Estela Rodriguez, Vashti Vaccaro, Jamila Vega, Tiana Young, Galilea Teck, Killyany Alvarado, Jaslyn Castillo and Melanie Pacheco. 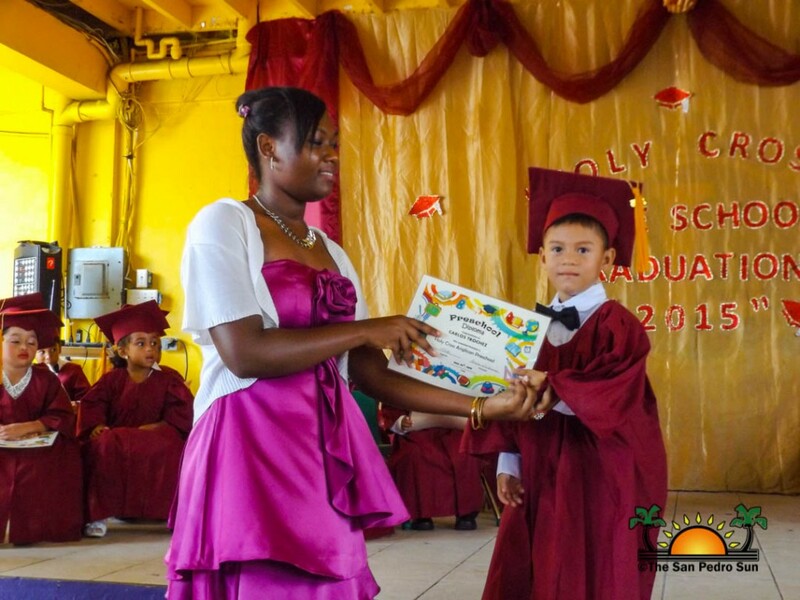 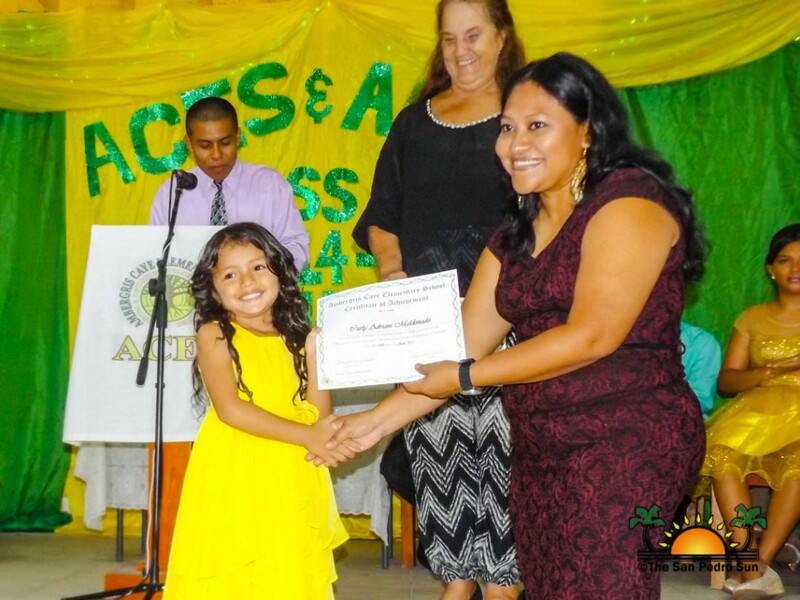 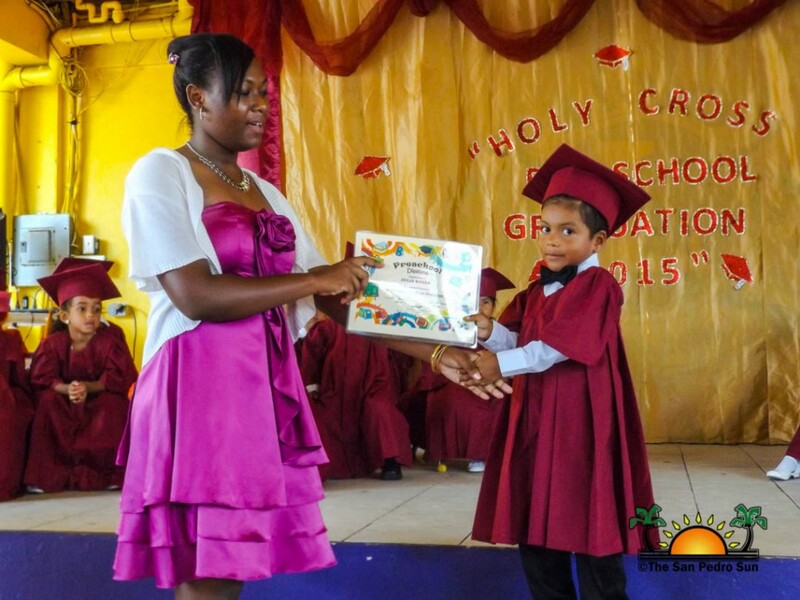 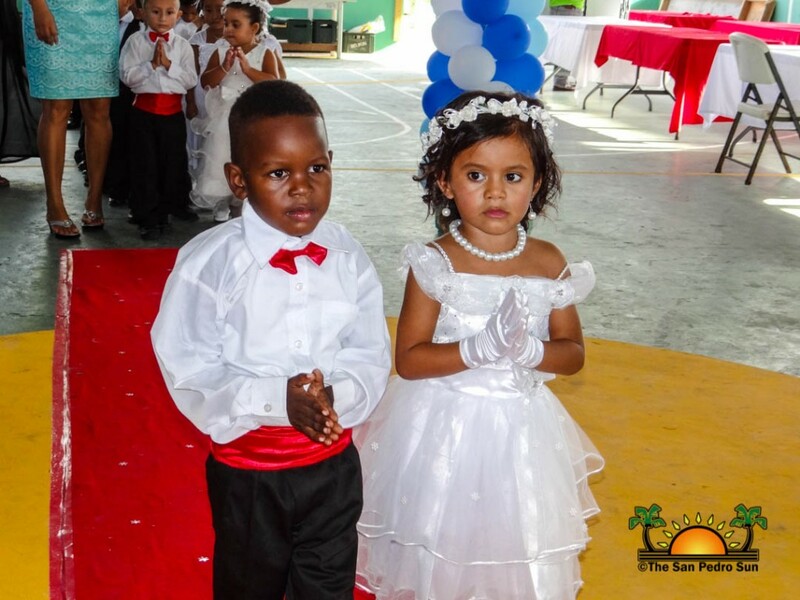 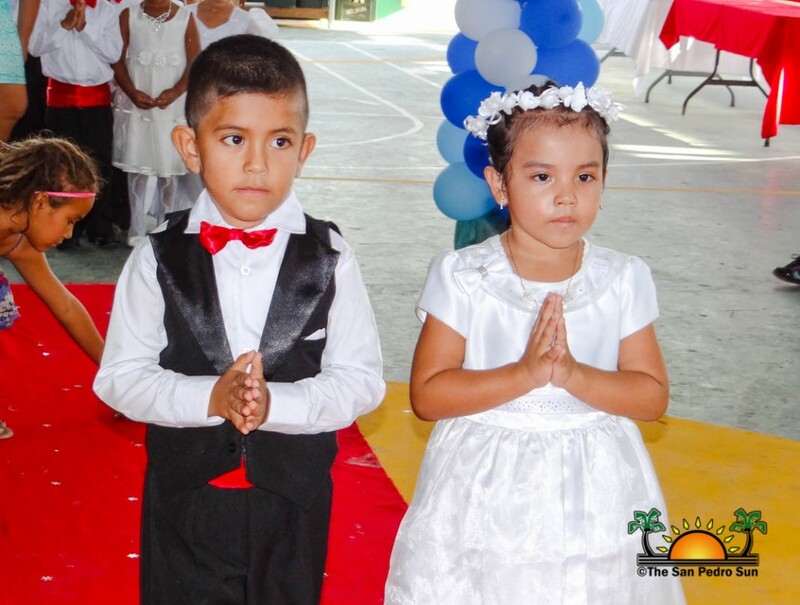 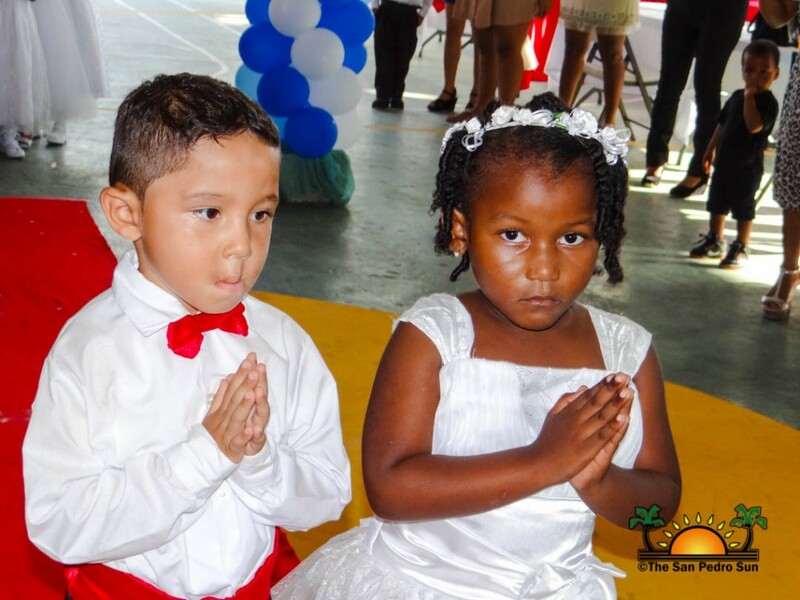 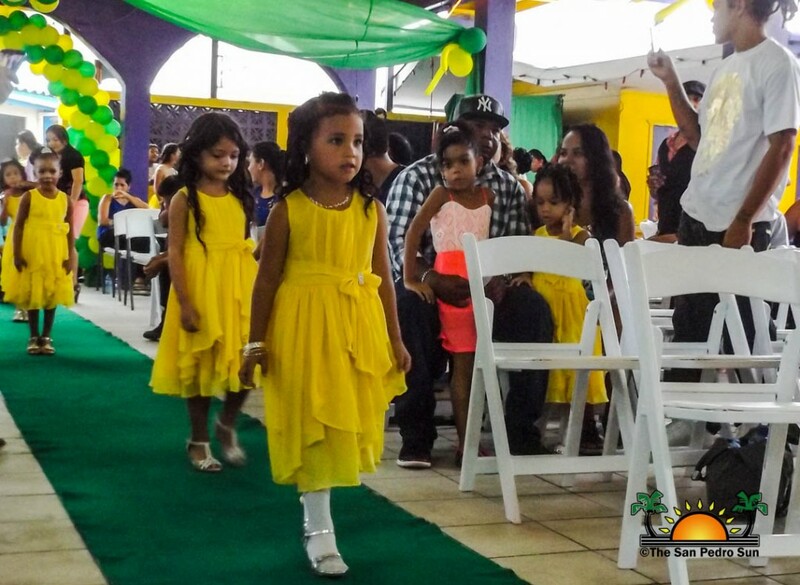 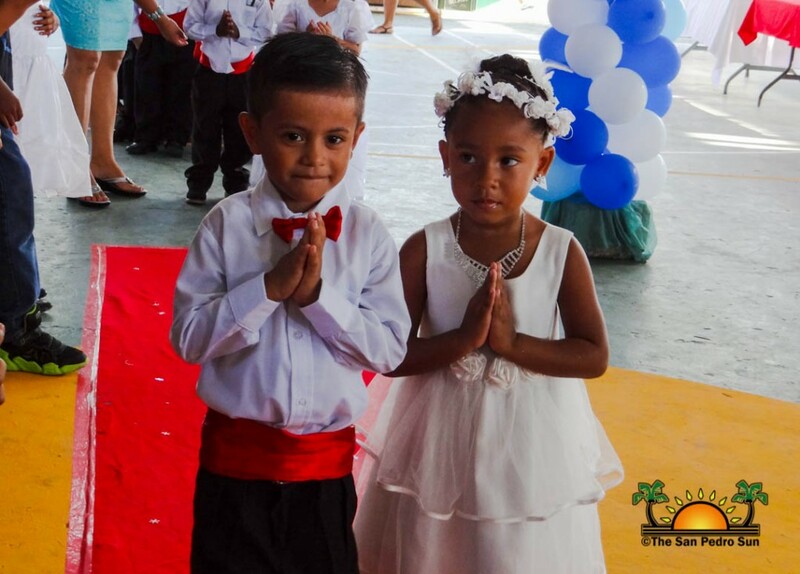 On Thursday, June 25th, Ambergris Caye Elementary School (ACES) held a joint graduation ceremony for both their primary school and preschool students. 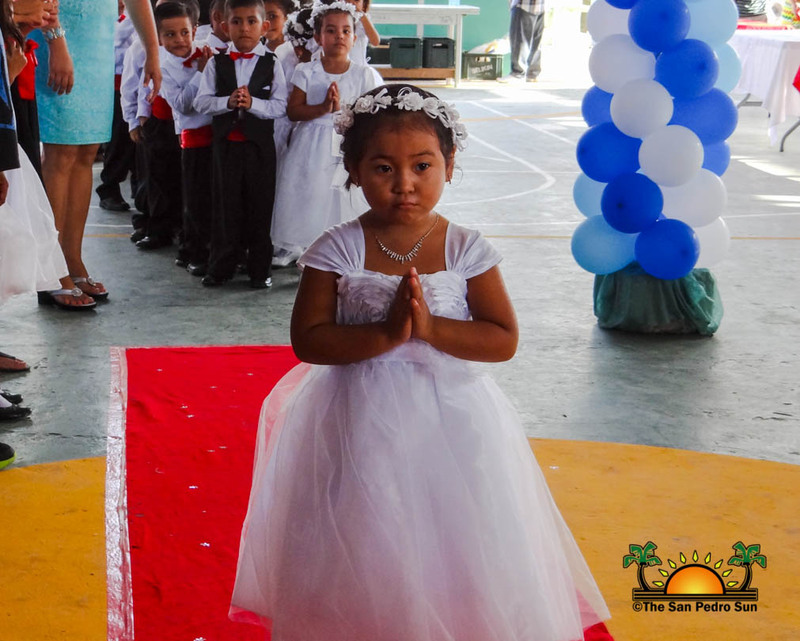 Kicking off at 5PM at the San Pedro Lions Den, the ceremony honored 12 primary school students and eight preschoolers. 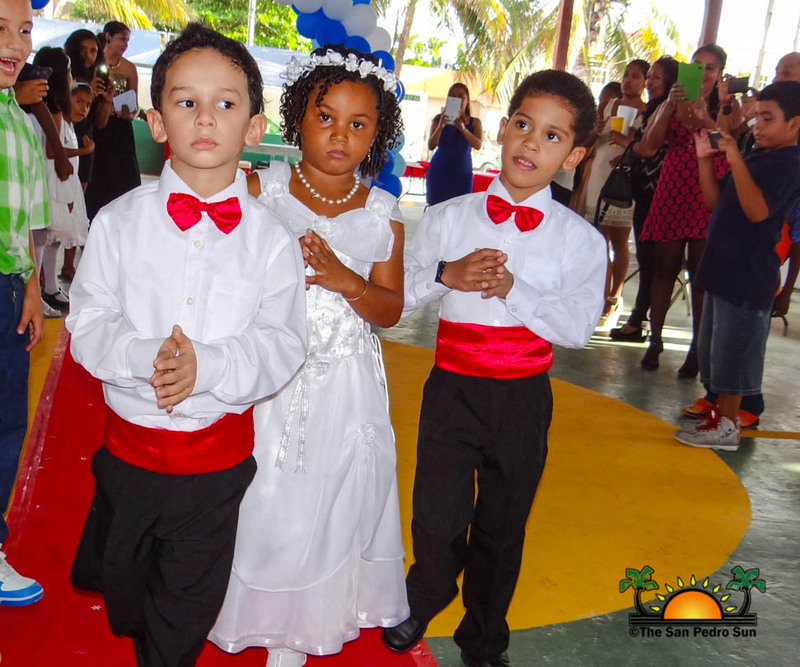 Master of ceremonies was Roberto Valencia. 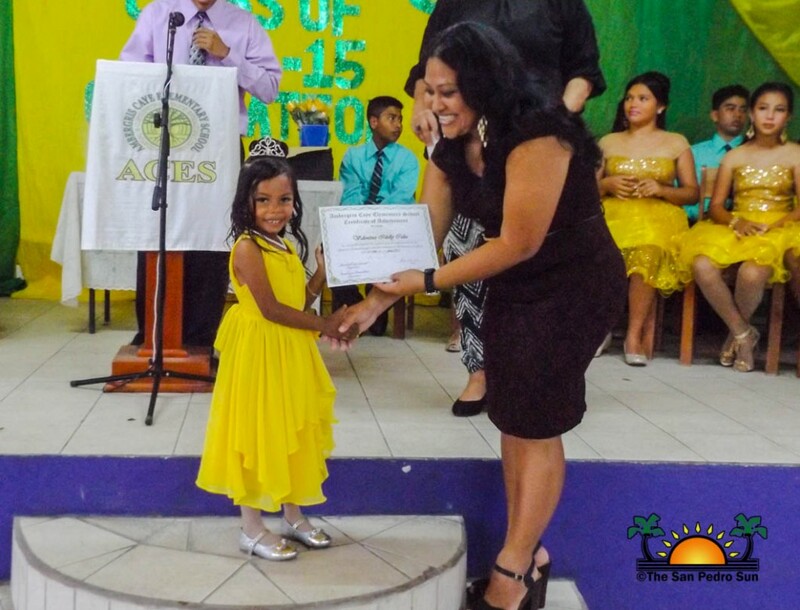 During the event, academic and special awards were also given out to deserving students. 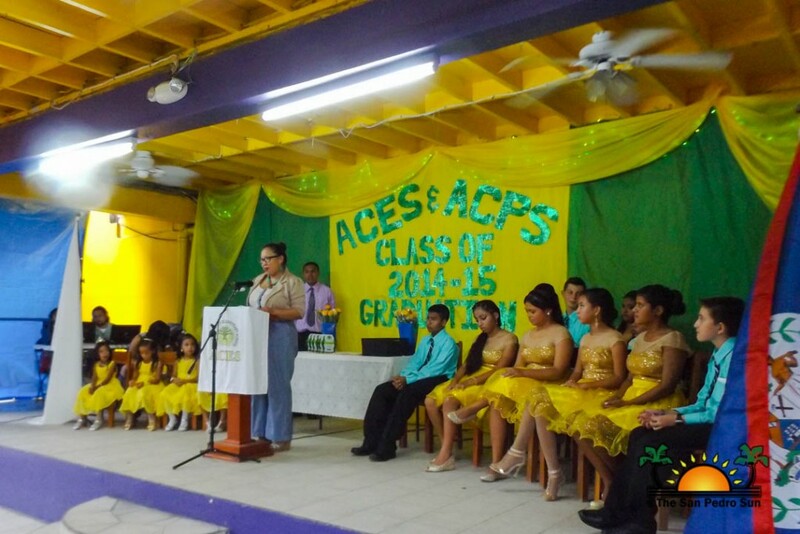 ACES primary school class of 2015 comprises of: Diego Francois, Kathia Trochez, Danielle Rodriguez, Aaliyah Marin, Kaira Patt, Trevor Habet, Alexis Coy, Jessica Manzano, Tania Lima, Brandon Worthington, Bianca Narvaez and Jake Cornellier. ACES preschool class of 2015 comprises of: Valentina Caliz, Tiana Leslie, Alexia Flores, Esmeralda Orellana, Carly Maldonado, Christine Caceres, Hamy Reyes and Isaac Garcia. 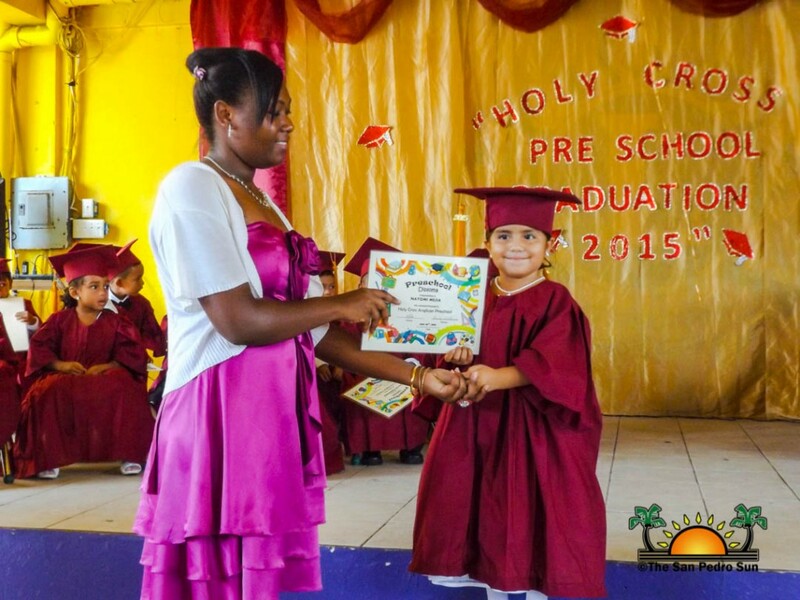 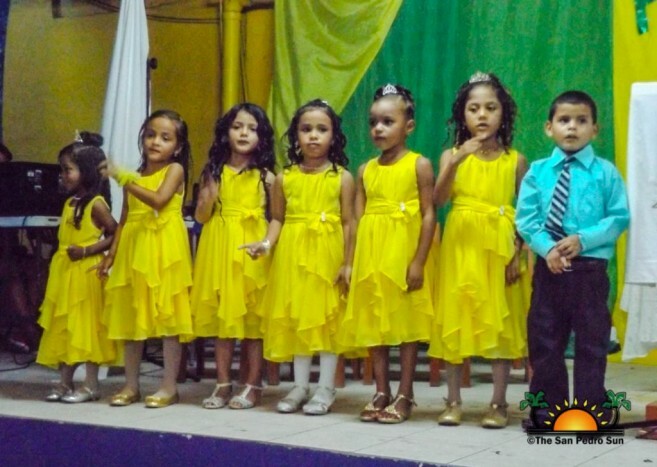 Graduation ceremonies continued on Saturday, June 27th with Little Angels Preschool’s Commencement Exercises. 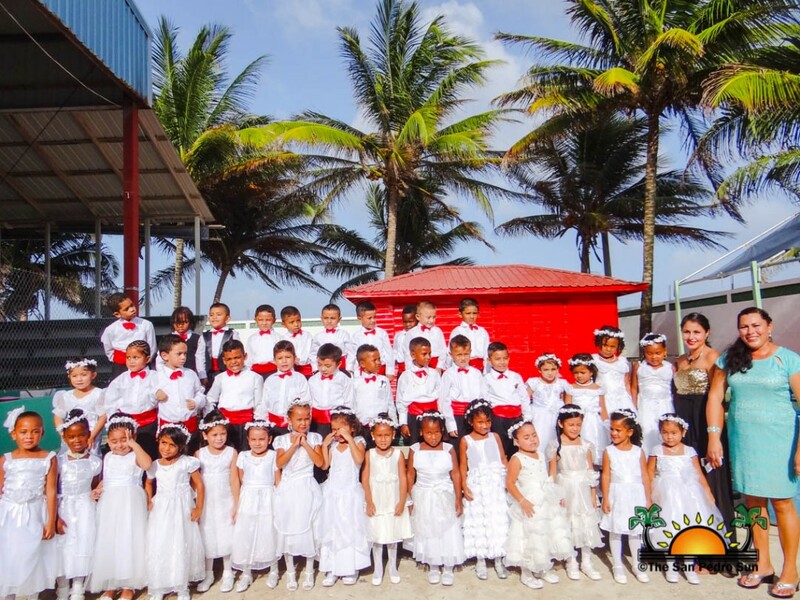 41 little cuties marched to the tunes of pomp and circumstance at 4PM at the Angel Nuñez Auditorium. 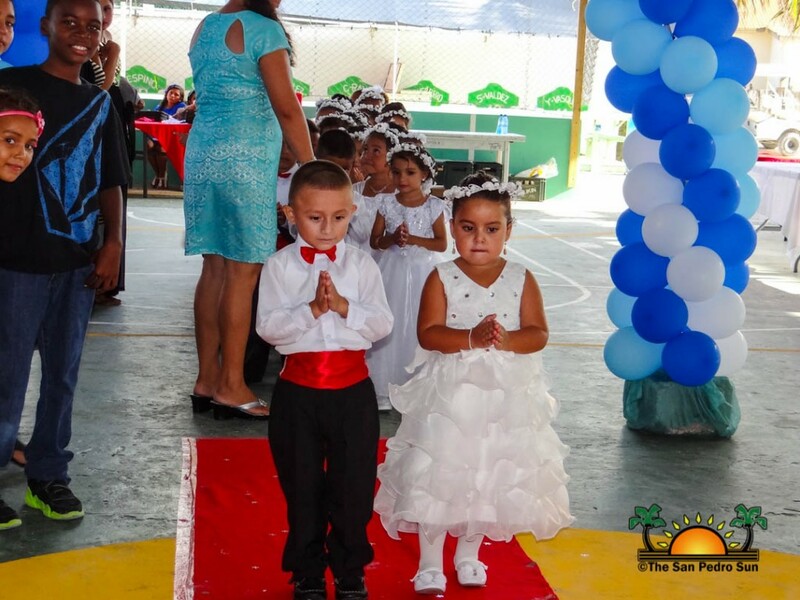 Leading the ceremonies was Alex Nuñez, while Miguel Hernandez gave the opening prayer. 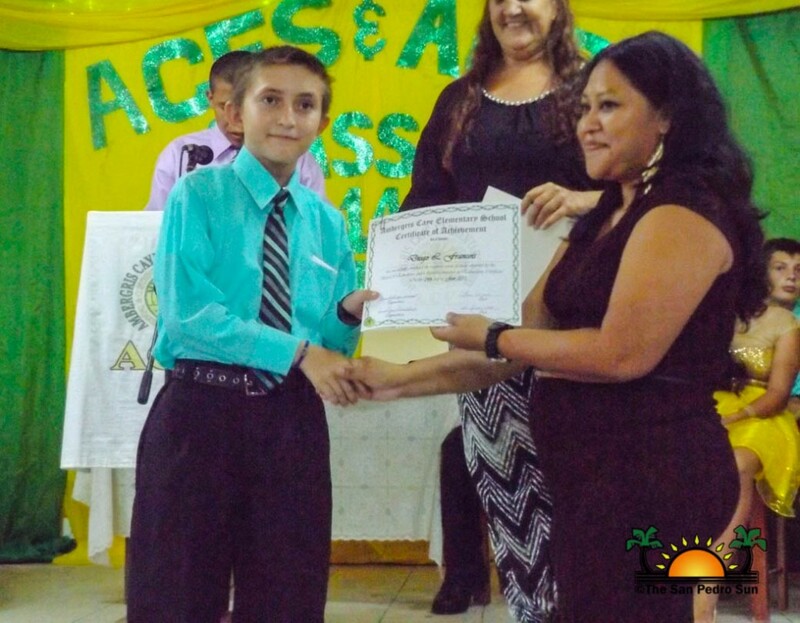 Guest speaker for the event was Angel Nuñez, after which the diplomas were given out by Marina Kay. 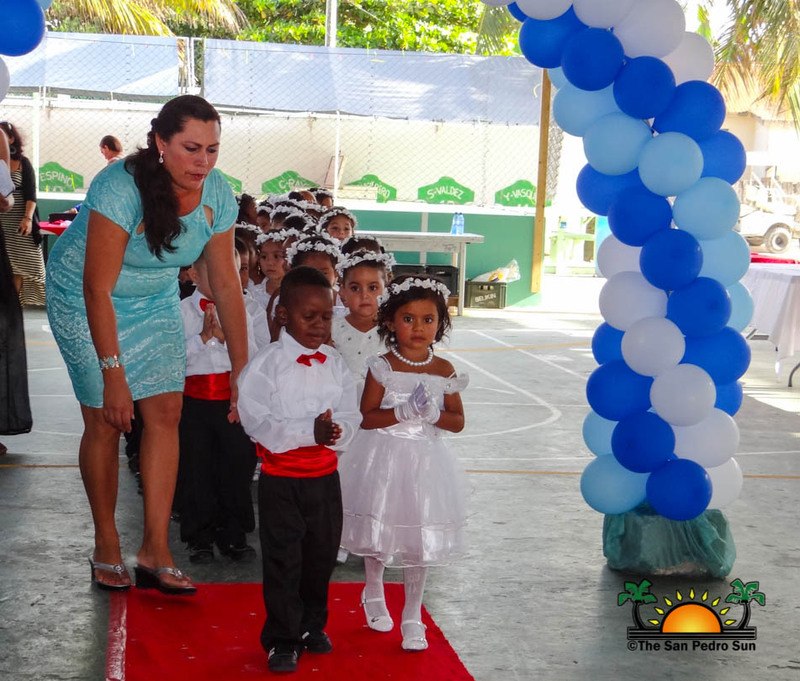 The Little Angels Preschool class of 2015 comprises of: Jesser Chable, Carlos Chonay, Avaughn Cowo, Gian-Carlo Donis, Hugo Garcia, Pedro Gomez, Reyvar Gonzalez, Tyler Gonzalez, Godfrey Leslie, Akeem Martinez, Ethan Mendoza, Jerelyn Carcamo, Rishel Catzim, Carmen Cisneros, Alisha Diaz, Maricelli Glenn, Roani Gongora, Sofia Hancock, Maya Hussein, Julianni Juan, Devine Jimenez, Jelen Melendez, Darwin Olivera, Jael Quijano, Michael Richards, Gregorio Rodriguez, David Rosales, Elsier Sansores, Christopher Silva, Tristen Staine, Fenton Sutherland, Melany Minott, Mariah Mirlanda, Danielle Montes, Jahftali Nuñez, Solani Trejo, Michelle Tzib, Genesis Tzul, Suseth Umana and Jazlyn Westby. 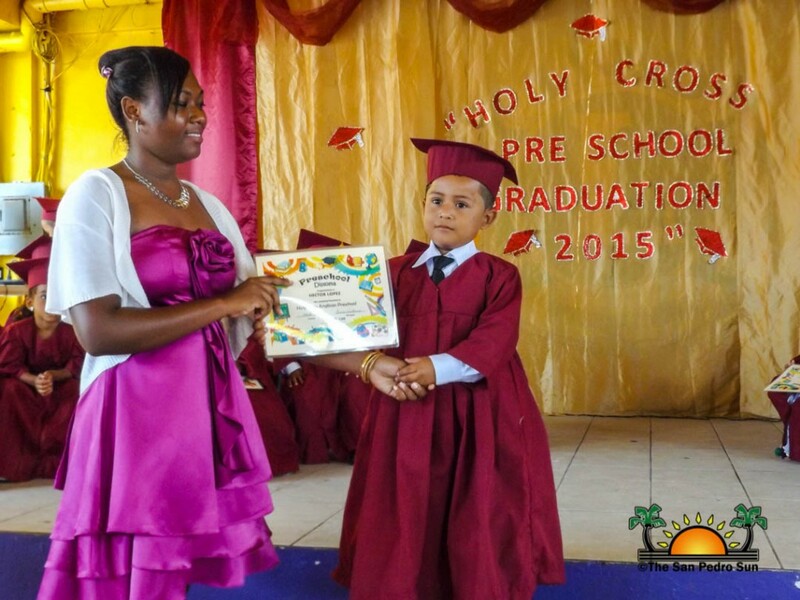 Also holding graduation on Saturday, June 27th was ABC Preschool. 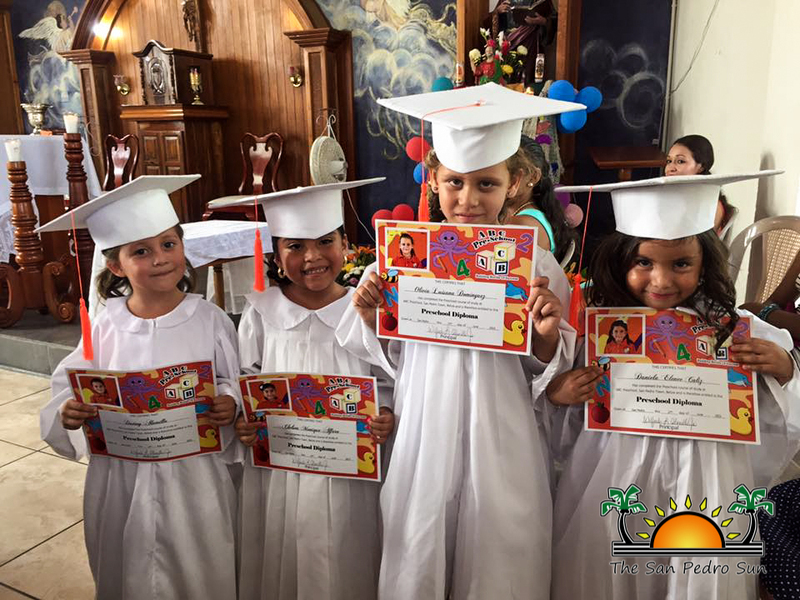 Their ceremony consisted of a mass service at the San Pedro Roman Catholic Church, where diplomas were issued. 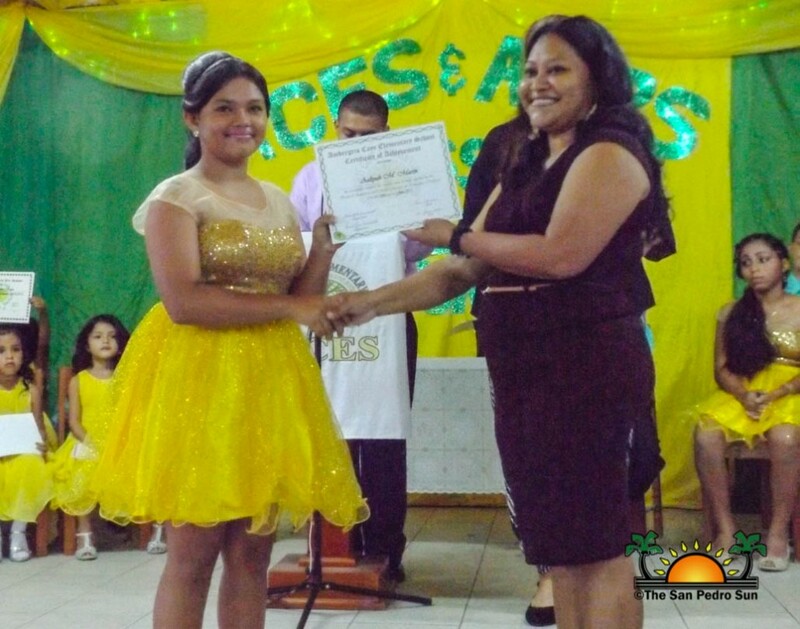 The student and teachers then moved to San Pedro Lions Den for a dinner party honoring the graduates. 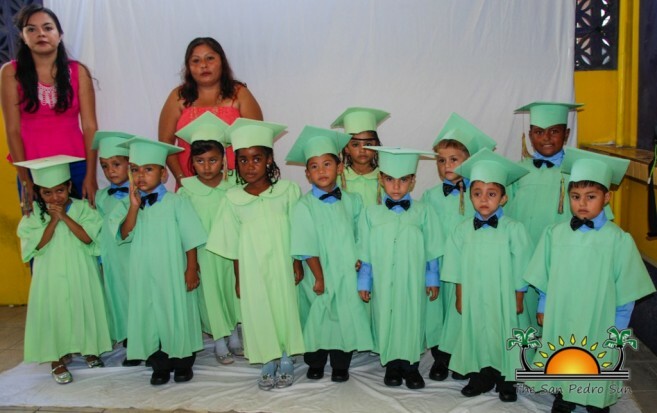 ABC preschool class of 2015 comprises of: Hector Alamilla, Michael Allen, Juan Bustamante, Joshua Castillo, Cristian Castro, Elizandro Chi, Erick Duran, Haziel Duran, Nikolia Estephan, Luis Garcia, Mynor Garcia, Ezekiel Gibson, Isaac Gomez, Johnathan Houghton, Sean Koh, Zael Logan, Nathan Lopez, Jovan Madera, Jayden Martinez, Jordany Melendez, Alexias Nuñez, Carlos Nuñez, Andre Paz Jr., Diangelo Romero, Caryl Smith, Zaeem Torres, Lucas Utera, Ronald Winchel, Cesar Zuniga, Janelle Augilarm Destiny Alamilla, Chelsea Alfaro, Ashley Cardinez, Daniela Caliz, Olivia Dominguez, Emelin Guerrero, Gyadah Granados, Jayln Jex, Chloe Lara, Elaine Leslie, Jenny Lopez, Keeane Maradiaga, Giselle Meza, Tiani Munguia, Sheanna Nuñez, Jaelyn Oliva, Aleyca Paz, Annaleigh Peterson, Doris Pineda, Britney Rancharan, Allison Rodriguez, Leeane Rodriguez, Jailyn Sabal, Daymi Segura, Marjolet Tillet, Saila Trejo, Kayda Tzul, Suzwni Vellos and Akaya Wade. 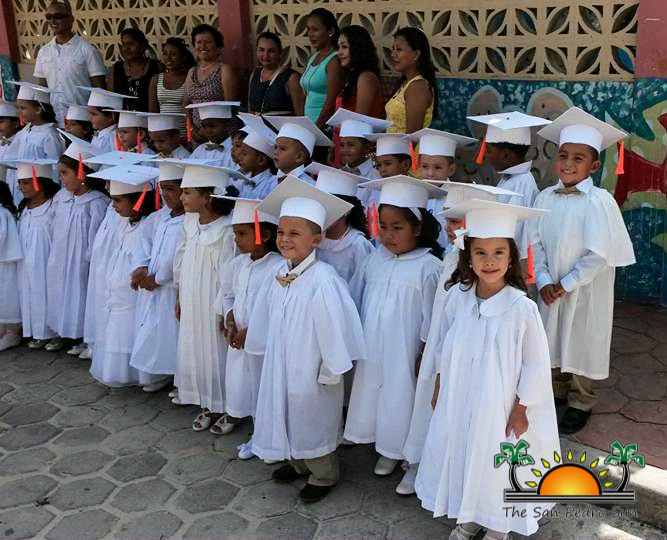 Holding their first ever graduation ceremony was San Pedro’s Shining Stars Preschool on Sunday, June 28th. 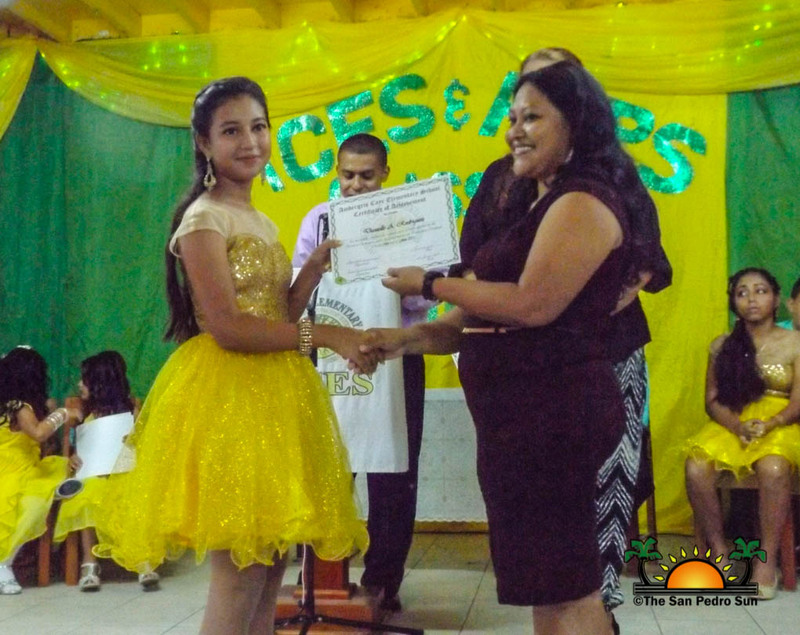 Held at the San Pedro Lions Den at 4PM, 13 students graduated from the school. 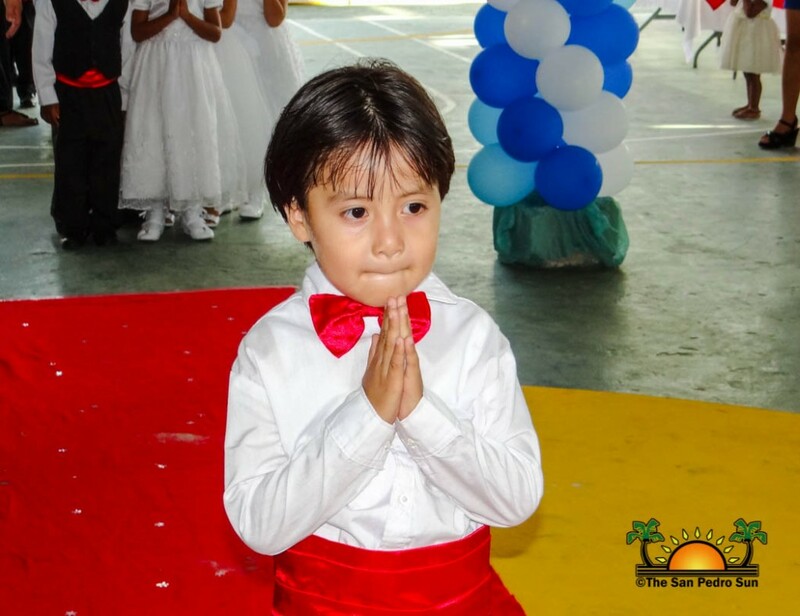 Master of Ceremonies was Pablo Garcia. 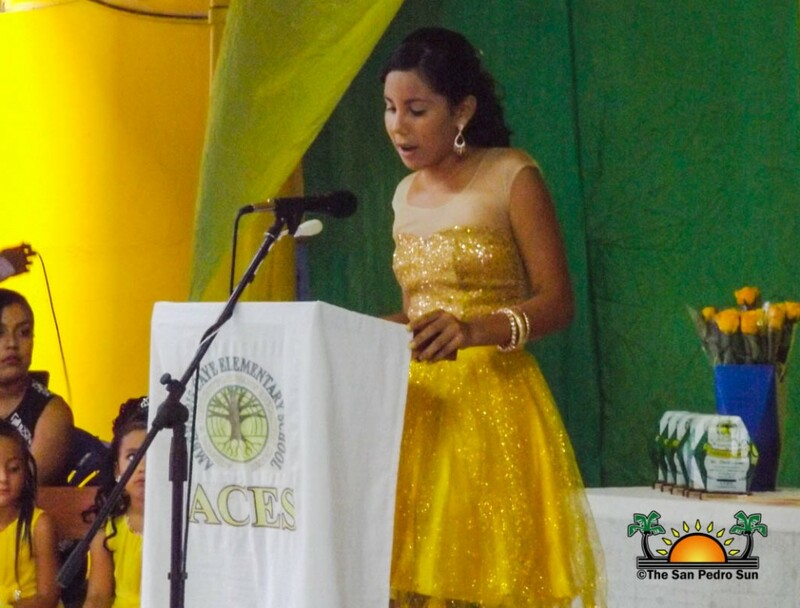 Avelina Heredia gave the principal’s report followed by the guest speaker by Anna Gomez. 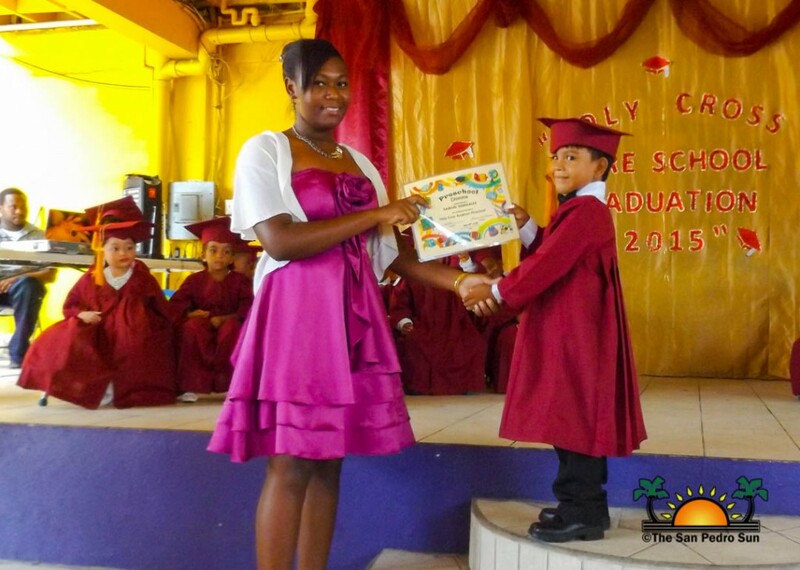 Diplomas were then issued out, followed by the graduates singing a farewell song. Shining Stars preschool class of 2015 comprises of: Melidad Argueta, Rheaya Barrohona, Odessy Castillo, Amileily chi, Elijah Ash, Jonathan Caliz, Juniel Castillo, Isai Escalante, Ivan Interiano, Eber Polanco, Marvin Silva and Pedro Valladarez.